In recent days we have been reading shocking revelations about the actions of individuals within the UK charitable sector. This has opened the floodgates to accusations of misconduct and inappropriate behaviour left unchecked at both personal and professional levels. Having taken the big step and employed an inexperienced young person it may prove difficult to justify further investment in their development so early on. Being able to show that a modest investment in developing their business skills will deliver a significant return on that investment (RoI), will help make the business case for doing so. What if we train them and they leave? 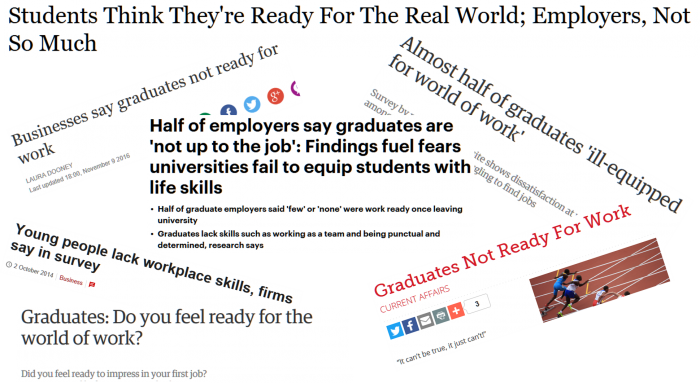 For years now the headlines have shouted out that young people and graduates are not ready for the world of work. Read more about Enough talking. It's time for action! Knowing what soft skills are and then how to use them may seem obvious to you. Knowing what business skills are and then how to use them may seem obvious to you, but are they obvious to your young employees who have only recently joined the world of work? I'm so proud. They've graduated! Well done to them all! My reflections on the achievements of young employees. Recently our year-long GradStart - business and soft skills development programme for young employees finished. Over the past year, I've seen a transformation in the young people who joined the journey and shared their experiences as relatively new and inexperienced employees. Why if I was graduating from university in England today I'd be concerned about my prospects of employment. Recently I had a meeting at a Further Education (FE) college about the impending shake-up for apprenticeships once the UK Government introduce the Apprenticeship Levy in 2017. The meeting left me concerned about the prospects of employment for graduates from September 2016 onwards. Read more about Why if I was graduating from university in England today I'd be concerned about my prospects of employment. That there is an intergenerational communication gap shouldn’t come as surprise. Many people experience it directly. In January 2015 the Backing Soft Skills campaign was launched sponsored by McDonald’s and backed by companies including Tesco and Gelder Group, and supported by organisations such as CBI, FSB, CIPD, NIACE, learndirect and City & Guilds. So what is the Backing Soft Skills campaign all about, and what does it mean for you and your business?